While Cuba is getting more than its fair share of let's-go-there-now attention, Nicaragua's newly opened The Inn at Rancho Santana is reason enough to give the Central America getaway (accessible via direct flights from Miami, Fort Lauderdale, Houston and Atlanta) a serious look. After a scenic coastal drive from the airport, Rancho's 2,700-acre retreat is home to near-constant breezes to match the semi-tropical, beachy terrain. Here's what else you'll find to justify that out-of-office message. The Clubhouse at Playa Santana is moored by the delightful La Finca y el Mar (“The Farm and the Sea”). The restaurant integrates farm-to-table takes on everything from a jalapeño-infused El Hortaleño tequila cocktail (mixed with fresh lime juice, muddled cucumber and cilantro) to super-fresh lunch and dinner food items literally plucked within sight of the seaside balconies. Start with the tortitas de pescado (smoked fish cakes) kicked up with a sorghum and red onion aioli before diving in on the eponymous surf-and-turf-style La Finca y El Mar (filet mignon and lobster tail with herbed garlic butter and mashed potatoes), guava salsa-topped pork ribs or whole red tamarind-spiced snapper. 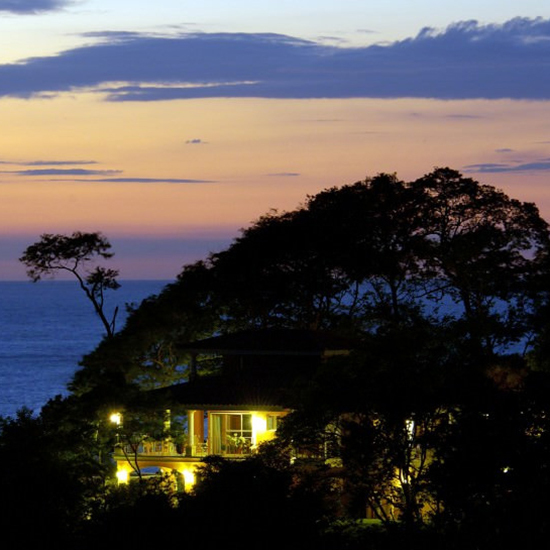 Seventeen suites and casitas feature unobstructed views of the Pacific and are decorated to blend with the largely undeveloped, surfer-beloved region of Nicaragua. Rustic rooms feature woodwork created by on-site wood shop Mill Works, hand-painted tile and locally sourced paintings and pottery. Rooms start at $249/night. Expert-led surfing lessons are offered through The Clubhouse. For those less inclined to hit the waves, Rancho also offers mountain biking, kayaking, horseback riding and naturalist-guided bird-watching walks through the surrounding forest. Wind down by stargazing over the tranquil Bay of Playa Gigante.